Is your commercial truck driving inconsistently? Has your dashboard lit up with “check engine” or “ABS Brake” lights? You can only ignore those lights and signals for so long before it’s time to take your vehicle in for a diagnostic check-up. Bring your vehicle to Tom’s service center for a full diagnostic check-up and inspection…. 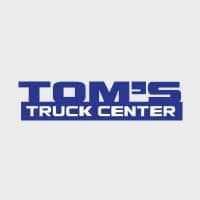 Tom’s Truck Center’s service department, located at 936 E 3rd St, Santa Ana, CA 92701, services all medium duty trucks. Check out the video HERE!